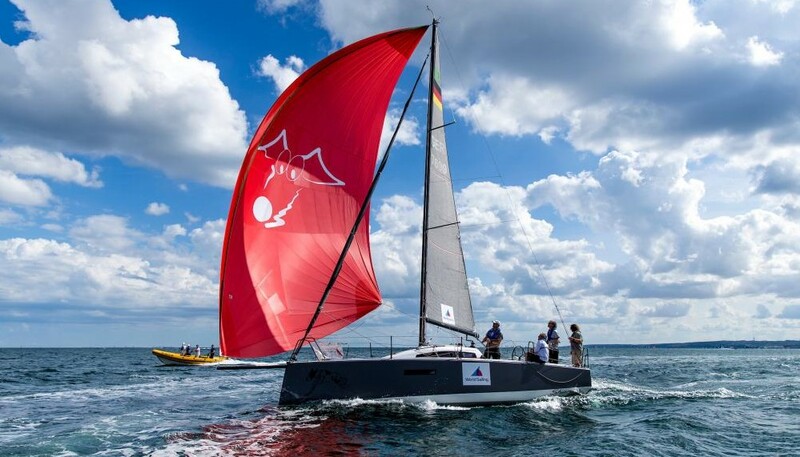 World Sailing has announced that the L30, a 30-foot one design keelboat, has been selected as the supplied equipment for World Sailing’s Offshore World Championship from 2020. The selection will come as no suprise to those who followed the World Sailing convoluted process for the introduction of a shorthanded Offshore event for Paris 2024, where rumours that a deal had been done for the L30 to be the Olympic equipment were rife. Although back in November, in an interview with Yachtracing.life, Kim Andersen, President of World Sailing, refused to confirm the L30 as the frontrunner for the first Offshore World Championship, or that the two events were connected, claiming that they came about independently of each other. The L30 a 30-foot one-design monohull was conceived by Ukrainian 49er Olympic silver medallist Rodion Luka and designed by RC44 designer Andrej Justin. Built by SVP Yachts in Slovenia as a SMOD – single-manufacturer one design. Valletta, Malta will host the inaugural edition of the Offshore World Championship in October 2020 and it will be the first time the L30 is showcased on the world stage. The Championship will be a two-person mixed competition (one man, one woman) between nations, featuring 20 boats. The boats will be chartered by the national teams and allocated to sailors one week ahead of the Championship via a boat draw before sailors have time to test and prepare for the challenge that lays ahead of them. Held alongside the Rolex Middle Sea Race, the competitors may be required to sail the full course or a reduced course depending on the weather conditions. The boat was first tested in November 2015. At its 2018 Class Championship in Lake Balaton, Hungary. Four nations, including Germany, Hungary, Ukraine and Hong Kong competed on Lake Balaton. Originally earmarked to be held in 2019, World Sailing postponed the hosting to 2020 Championship to allow a full qualification system to be developed, allowing ample opportunity for Member National Authorities to qualify and prepare for the event. To date no information on the qualification system and race format have been released.